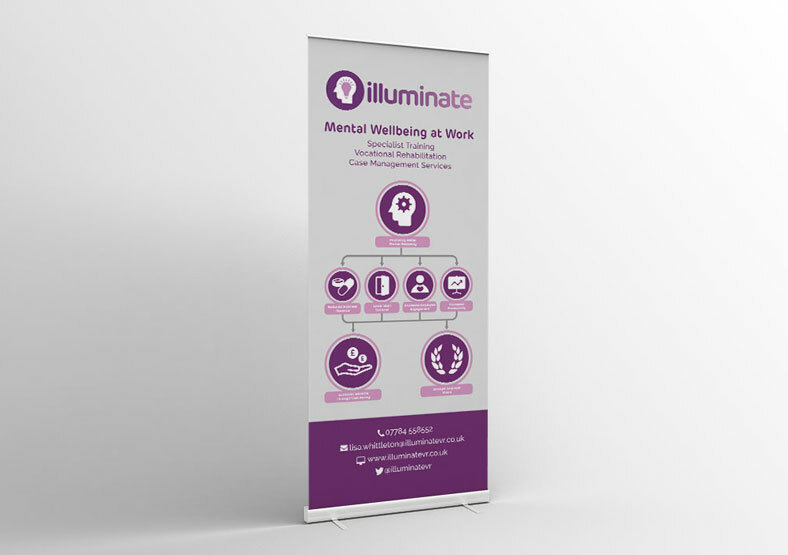 Illuminate supports organisations to better manage mental health and disability in the workplace leading to decreased absenteeism, higher productivity and lower staff turnover. 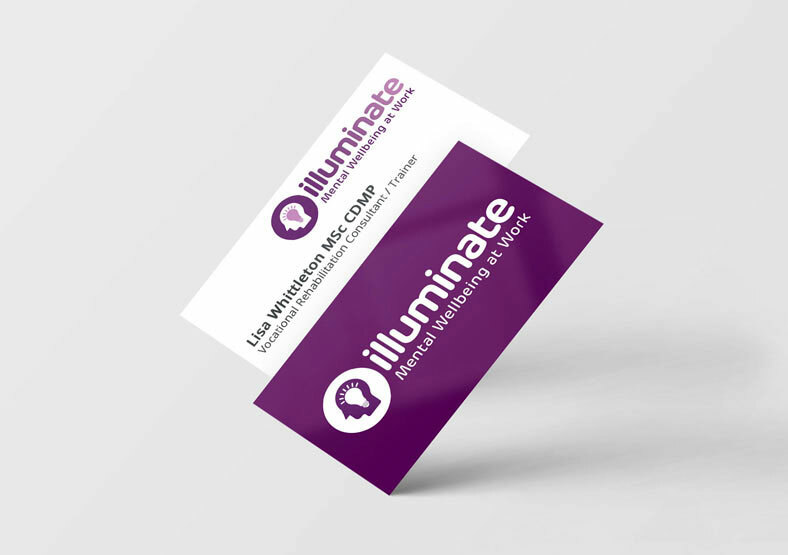 Illuminate came to us with a self-built website and a logo that was looking a little dated. 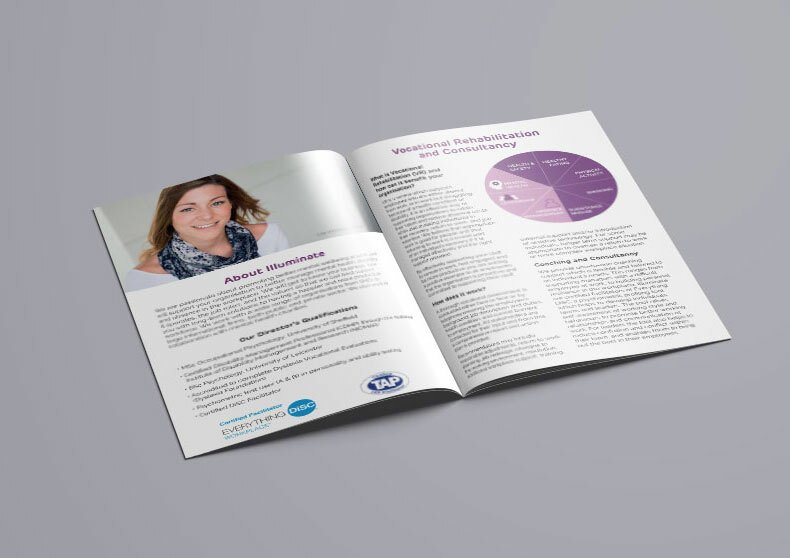 We got to the heart of their brand by helping Lisa, the business owner, focus on her audience and the core benefits of her service. 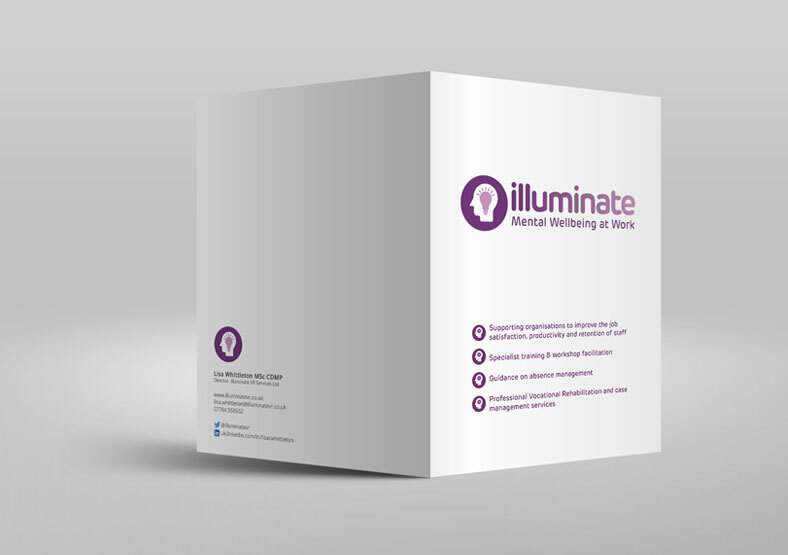 We refreshed the Illuminate brand with an updated logo, and designed a folder, booklet and flyers. 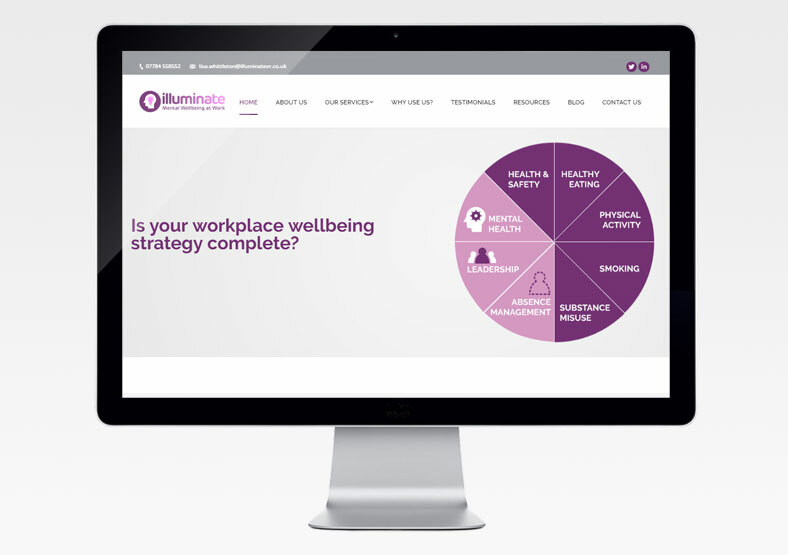 We designed and built a brand new WordPress website based on the new colour scheme inspired by the logo. 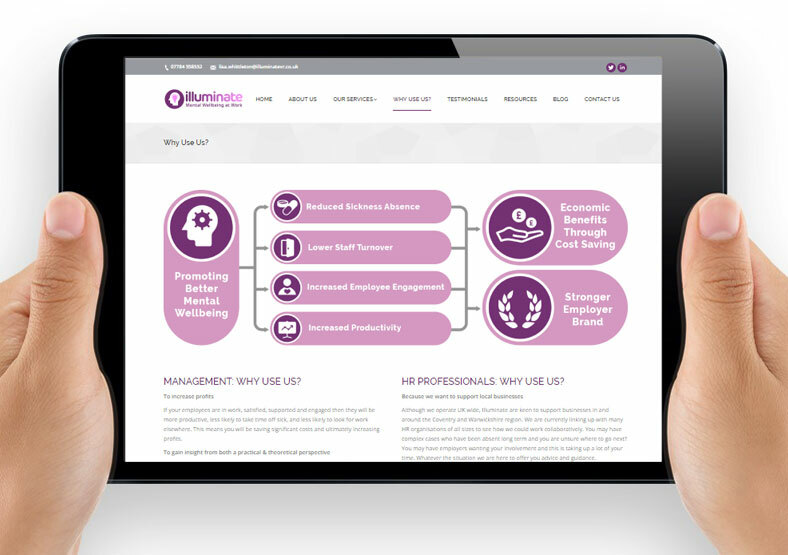 Lisa is now able to access the website and easily make changes herself. 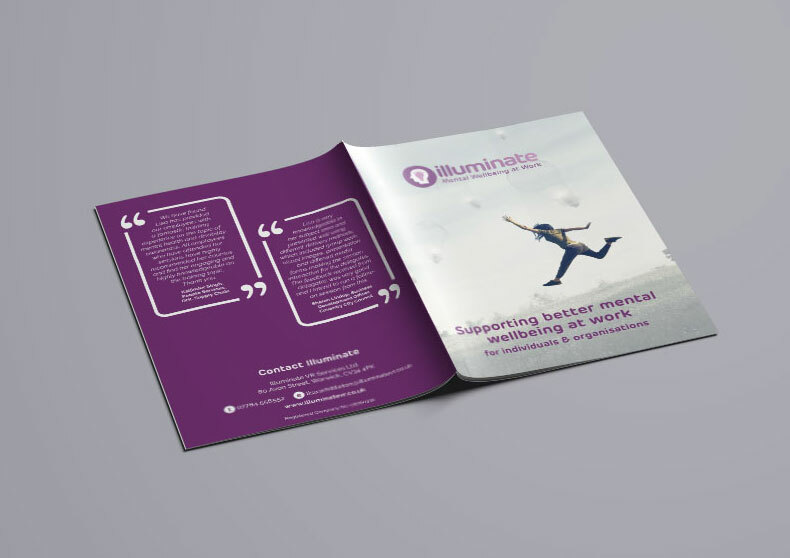 As part of the website design, we created two infographics which clearly represent the benefits of using Illuminate's services. 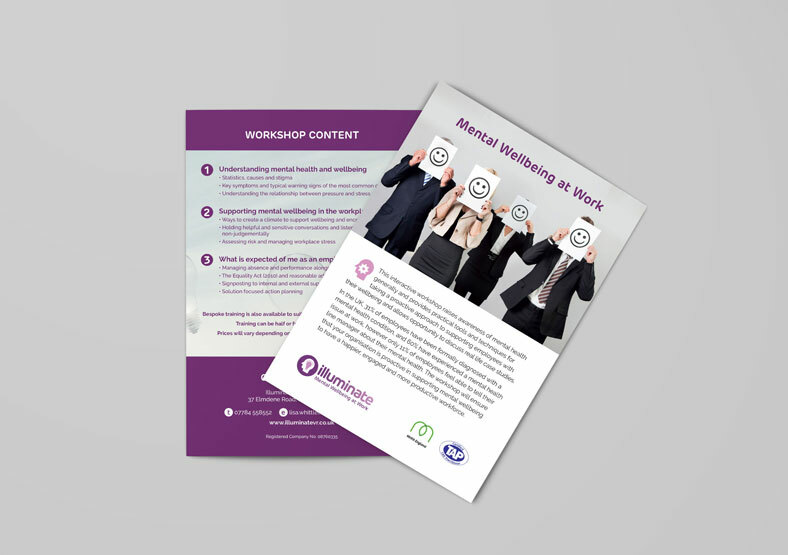 We used these infographics in a pull-up banner we designed for the business, which is used at business shows and events.